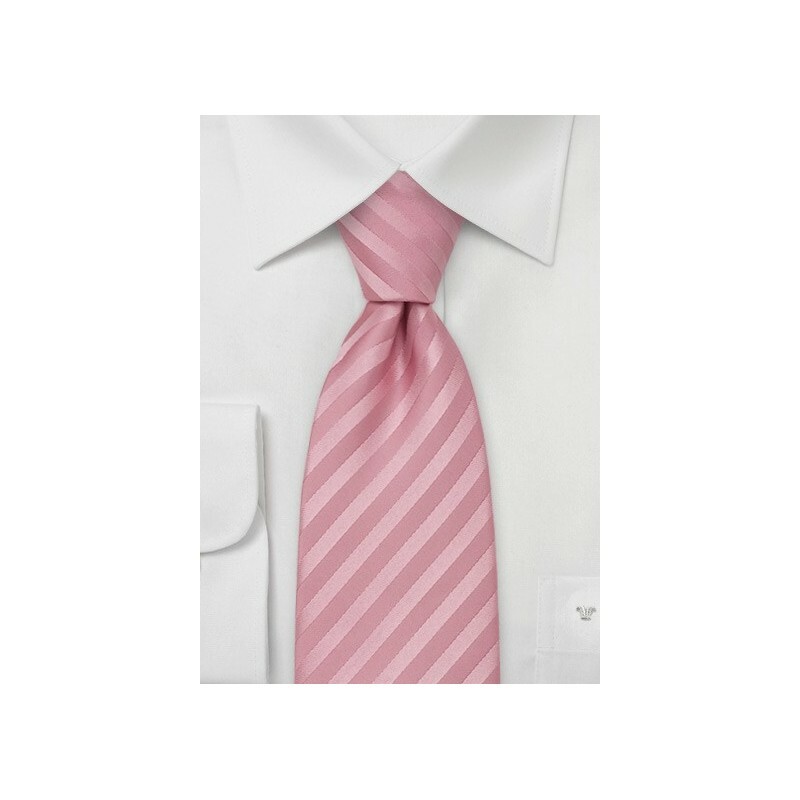 This rose-pink tie is made in longer length especially for tall men and those men with a larger collar size. 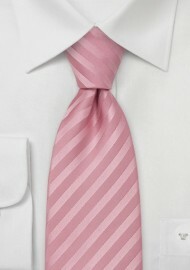 The subtle stripes on this tie add a nice shimmer to the rose-pink color. It is a festive tie that is commonly chosen for spring time weddings. Although popular for weddings it also makes a trendy business tie that matches best with tan colored suit and classic white dress shirt. Handmade from 100% silk by Parsley Luxury Neckwear.